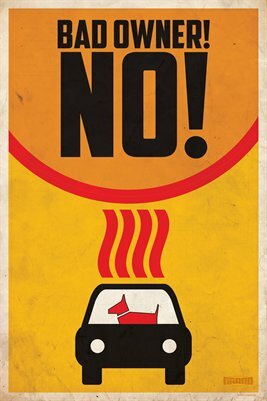 The dog days of summer are here and idiots everywhere need constant reminding that leaving their pets in a hot car is dangerous and irresponsible! Do your part and hang these clever posters at home, work, school or wherever parking is tolerated! This version features a dog on the front and a cat on the reverse!